Gorgeous! 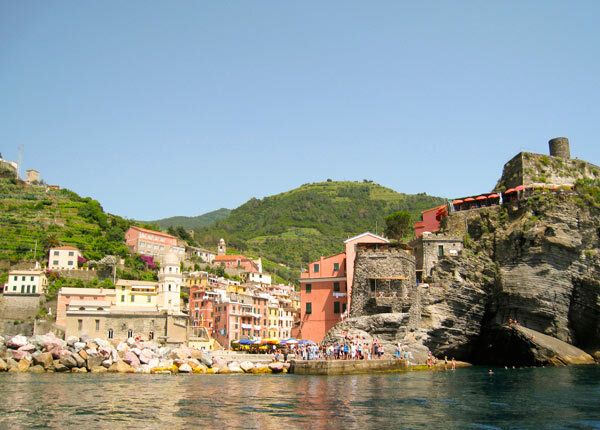 I loved Cinque Terre as well. Ladycakes' travel post got me thinking about my own trip there too. It's great to see a post on photography! I know this blog is more about style, food and living, but you're such a talented photographer, it's nice to see your bird's eye view of a famous place in this forum! I spot Camogli! Beautiful photos. Oh you are making me heartsick to return to Italy! 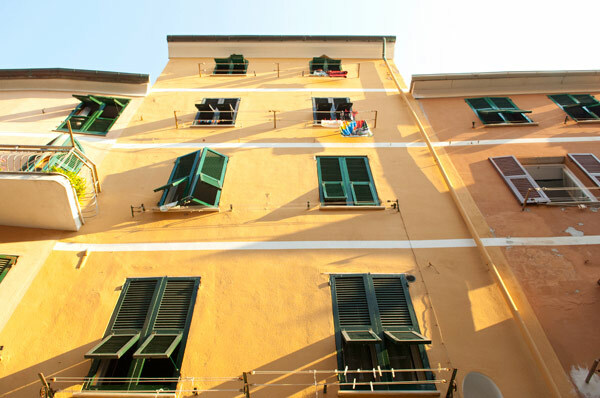 i love the photo of the older lady and gentleman peeking out the window! Love, love Cinque Terre! I dreamed about going for forever and finally went there in July for my honeymoon. It did not disappoint and would love to go back! I've been absolutely pining for Europe lately — studied abroad there and talk about ad nauseam to friends. 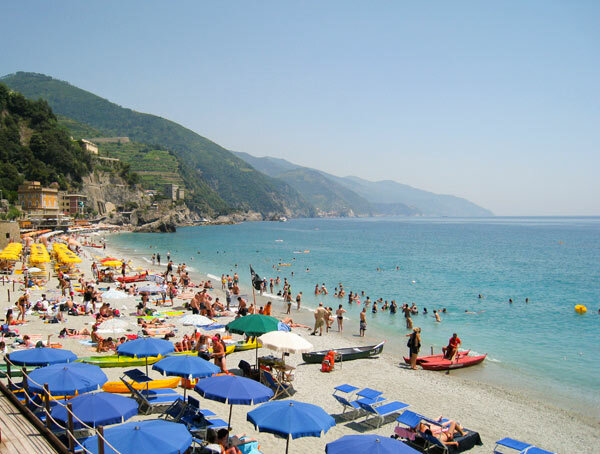 Never made it to Cinque Terre though, looks INCREDIBLE! Nothing like Cinque Terre, it's incredible! 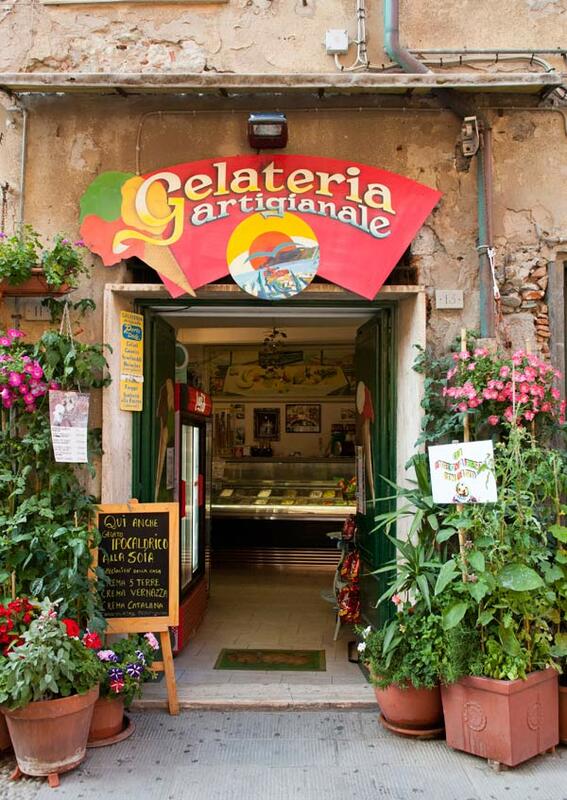 And that gelato spot in Vernazza is heavenly! Spent part of my honeymoon in Vernazza – magical!! Between the Gelateria and the Foccaciaria, the pesto, the seafood and the wine it was quite an eating extravaganza! We had a great time meeting a few local people who really made the trip special for us. Thanks for sharing your gorgeous photos. 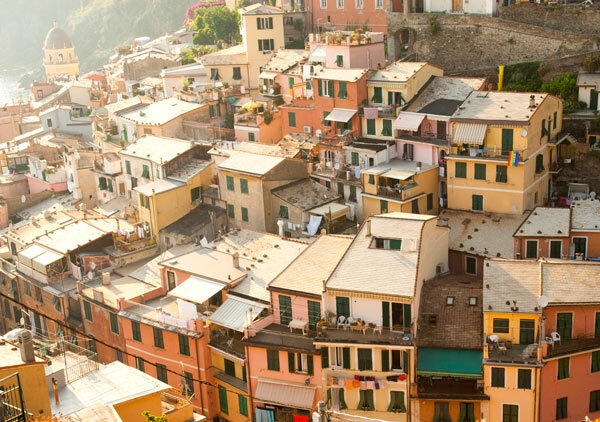 I spent some time in Cinque Terre a year and a half ago – it was one of my favorite spots in Italy to date. Such quaint, stunning towns. So much color, good food and drink and the kindest people. Hiking from one town to the next is seriously breathtaking! You feel on the edge of the world. This makes me want to pull out my old Italy photos from 2010, I still haven't put a photo album together for that trip. Time to get on it! 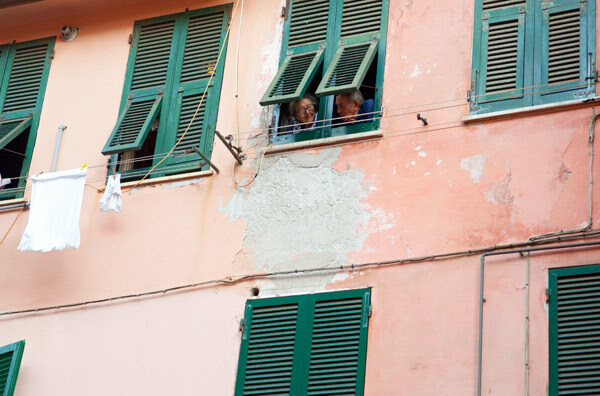 Your photos are lovely, I especially love the Italian couple looking out of their window! Too cute! 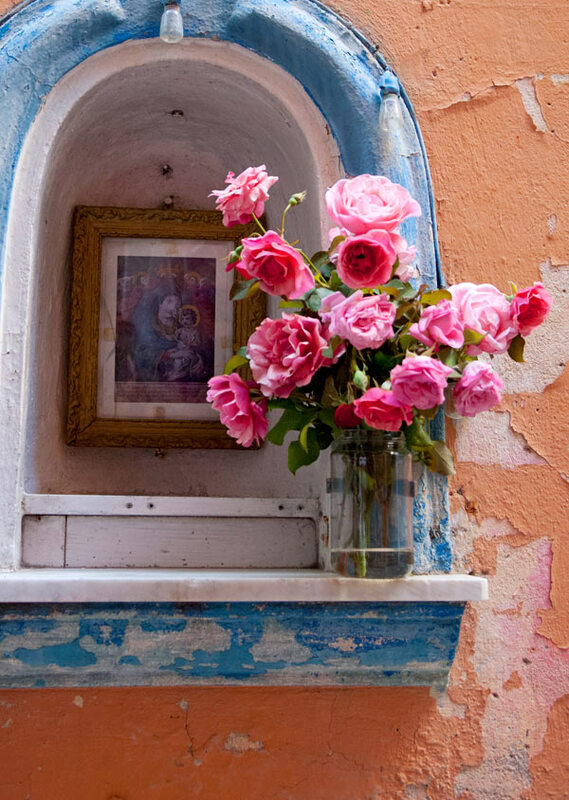 I've never been to Italy, but it's on my "list" and these photos simply cement the desire. 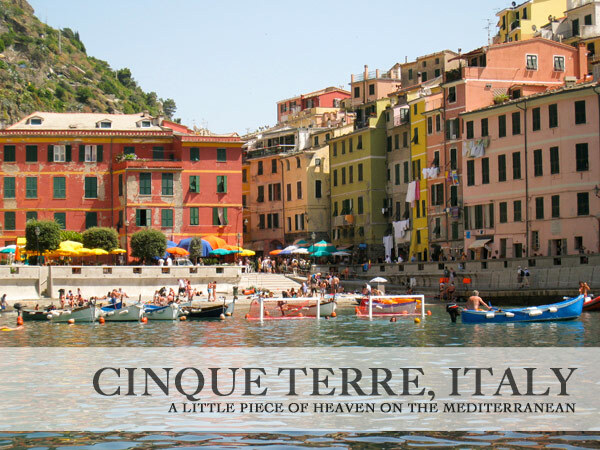 I studied abroad in Rome this summer, and I really regret not making it to Cinque Terre! Your pictures are beautiful! oooh how gorgeous and colorful! I feel the same way about Granada, Spain. My sister was studying there one winter so my family spent Christmas there, i'll never forget it. So so gorgeous. Dying to go back. I so want to go there on our next trip to Italy!!!! Soo beautiful.